The next generation is ashamed of its heritage. The majority of English youth are not proud to be English, according to a new YouGov poll conducted for the bbc’s “The English Question” project. While the older generations still have some English pride, the survey reveals that across the board, England is pessimistic about its future. The survey released on June 3 was the largest of its kind, polling 20,081 people. The online questionnaire asked questions about identity and belonging. 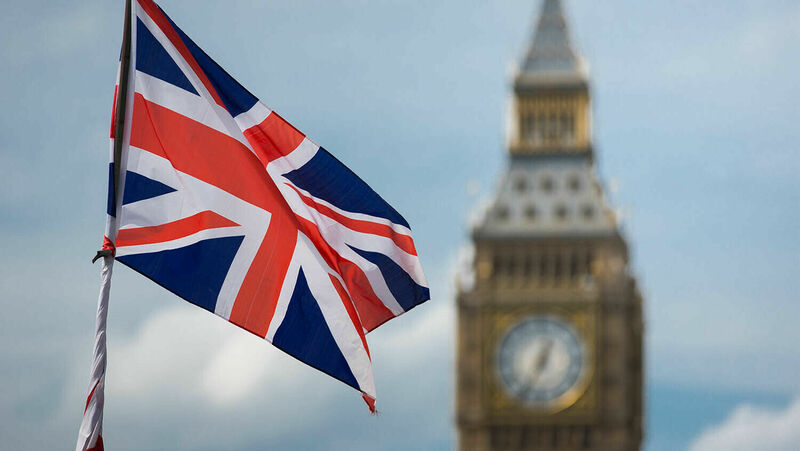 It found that 72 percent of citizens older than 65 said they were proud to be English, while only 45 percent of 18-to-24 year-olds felt the same way. While there is disagreement among age groups when it comes to English pride, they agree on one thing: England’s good days have come and gone. Half of respondents said they believe that England’s best years are in the past. The largest group with this view, at 60 percent, is people age 65 and older. English youth are more optimistic—but not much. Only 28 percent of 18-to-24-year-olds believe England’s best years are ahead. The results of the poll are not surprising considering what students are taught in schools today. In the past, students were taught to be proud of England and Britain’s heritage. Today, it’s the opposite. Students are now taught to be ashamed of their history, associating the British Empire with racism and oppression. According to these teachers, being patriotic is the same as being racist. Why? Because being patriotic gives you a distinct identity and separates you from other races. They teach that British history is especially shameful because of England’s colonial past. In a 2009 Daily Mail article, Melanie Phillips wrote, “[T]he root cause of this [erosion of national identity] is the promotion of multiculturalism, which has turned patriotism into a dirty word. “But without patriotism, a society starts to die. [I]t is not patriotism that is a menace to this country, but the teachers whose real target is Britain’s identity itself” (emphasis added throughout). Patriotism is a person’s devotion to or love for his country. It is what motivates people to defend their country. What motivated him to devote virtually every minute of his life to fighting for his nation? What motivated him to master military tactics and strategy? What motivated him to work so hard to become a great public speaker? What motivated him to endure the hard slog of politics? What motivated him, even in the twilight years of his life, to churn out articles, columns and books? What was it that motivated Winston Churchill to become a great man? Churchill passionately loved the British Empire, more than anything else in his life. If there was one thing Churchill’s critics could never criticize him for, it was his love for his country. “Every minute of Churchill’s life, every decision and tactic, every new bill, every column and book, stemmed from his devotion to the British Empire!” continues Mr. Flurry. Patriotism drove over 700,000 young Englishmen to sacrifice their lives in the trenches of World War i. And when patriotism began to flicker and die, Churchill was faced with a situation similar to today. Just before World War ii, Western nations were filled with the spirit of pacifism. It took Winston Churchill to rouse the people to stand up and fight—and even then, Churchill said that it still took “a series of horrible shocks” to awaken the British people from their pacifist stupor. But as Mr. Flurry writes, “[T]here is no Winston Churchill to lead us to safety this time.” Britain is headed for another “series of horrible shocks.” But this time, it will be much worse. There will be no eloquent orator like Winston Churchill rousing people to action the next time around. Though many people today believe Britain’s greatest days are past, they are actually just around the corner! Soon, Britain will once again be a leading nation, fulfilling its glorious purpose of setting an example for the entire world. In this future world, Israel will fulfill the role God has always intended for His example nation. You can also see this in prophecies like Isaiah 11:12-13, Zephaniah 3:20 and Zechariah 10:6-12. God intends to help these nations become the positive example they have always struggled and failed to be. But it won’t be Pax Americana they will be promoting. It will be the peace of God, and the Kingdom of God! What a marvelous future awaits! If you would like to learn more about this subject, please request out free booklet Winston S. Churchill: The Watchman.